Seriously…where did October go?…and how is it November tomorrow? To say it’s been a hectic month would be a bit of an understatement. The past weeks have flown by in a flurry of friends, family and trips to Cambodia and Phuket. 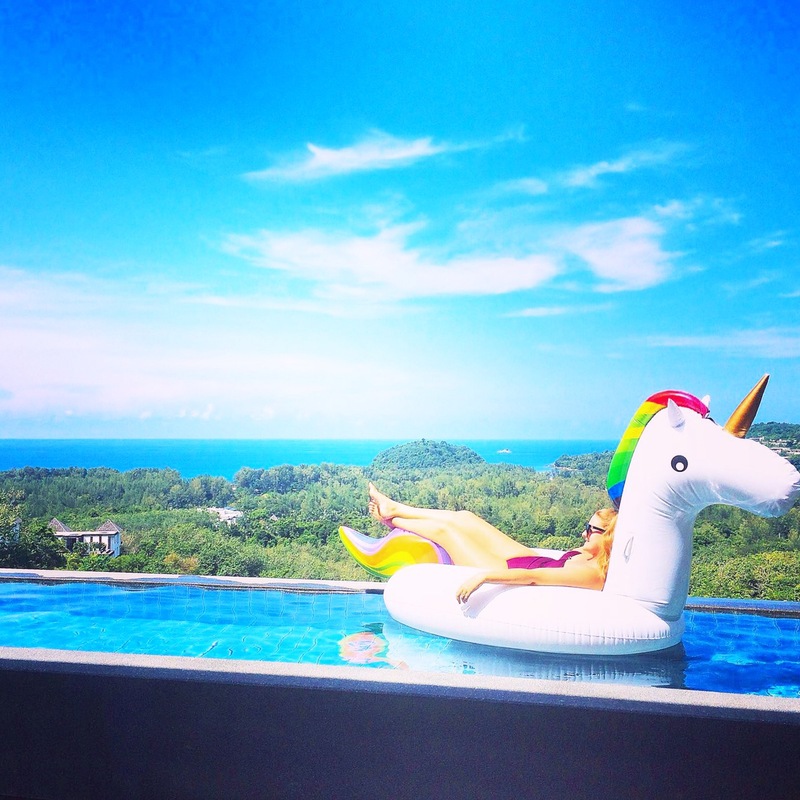 It’s been awesome but has left me decidedly behind on the blogging front so I just wanted to stop by and say hi to you all, and promise that I haven’t forgotten about you or been blown away on my giant inflatable unicorn just yet! Coming up on the blogging schedule over the next few weeks is Angkor Wat, Cambodia, October Favourites, an update on the Santhiya Resort, Koh Yao Yai and a review of our AirBnB Phuket experience are all underway. November should be slightly calmer; my parents are here for a few more days and then we have a few friends coming and going over the next few weeks plus a quick weekend in Singapore but I’ll be back to my regular Monday posting next week! Hope you all had a fab October too! Our October had been calm, but will pick up momentum as we prepare to pack for our Jordan and Israel journey in December! Oh wow, what an incredible trip – can’t wait to read all about that! It definitely goes by faster now I’m older too! Girl October flew by like a witch on a broom! I honestly did not realize Octobers’ over till I saw this! Haha. My October was not good as i faced a lot. Can’t describe but in november everything on its place.